So today is National Doodle Day (in the UK anyway) and I figure it's just as good an excuse as any to inspire some creativity! I've long admired the ability of other people to create those pretty hipster doodles but I haven't ever had much success creating them myself. The good news is, there's plenty of inspiration out there, whether you want to learn to draw patterns, flowers, or even Star Wars characters. Here are 5 fun picks to try. 1. I’ve always wanted to have great handwriting and, well, I just don’t! I’m going to order this Creative Lettering book so I can try to learn how to create pretty letters! 2. 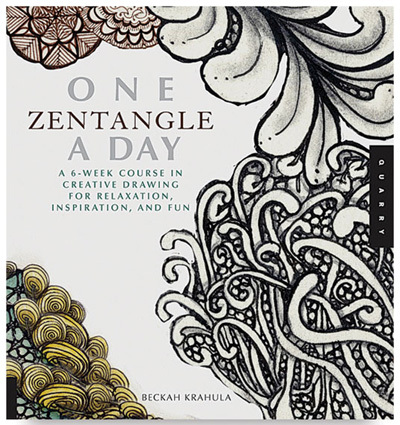 If you want to go through a process with your drawing, try One Zentangle A Day: A 6-Week Course in Creative Drawing for Relaxation, Inspiration, and Fun. 3. I love finding activities that the kids and I can do together. 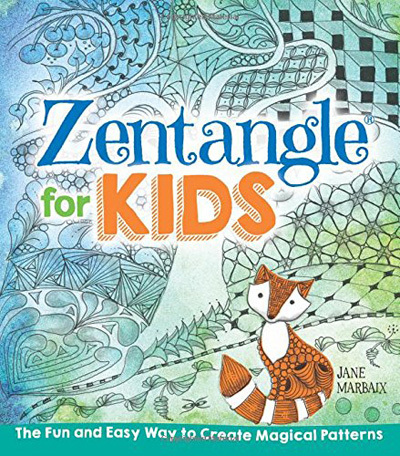 Hook your kids up with Zentangle for Kids and you can doodle together! 4. Laurel has produced some amazing drawings from Lisa Congdon’s 20 Ways to Draw a Tulip and 44 Other Fabulous Flowers. 5. Star Wars doodling = awesome.